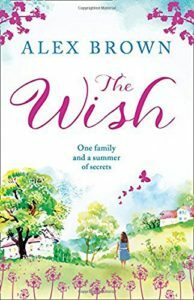 The Wish by Alex Brown is a wonderful contemporary story that both amuses and has the reader guessing from the start. There is an eclectic mix of characters who make up village life. The reader ‘hears’ the narrative from several viewpoints. The style is warm and inclusive. The reader really ‘feels’ a part of village life. Everyone has their secrets – some are good, others are destructive. Sooner or later the truth must come out. The heart of the novel focuses on a marriage that is falling apart. Everyone suffers. “The whole family… were coping in isolation.” To fix a relationship, people need to come together and talk. The wish portrayed can be seen as the desire of the heart. “If you wished hard enough, anything was possible?” Wishing is the stuff of fairytales but can they really come true? The Wish immerses the reader in village life with all its highs and lows. I loved the action and the atmosphere. 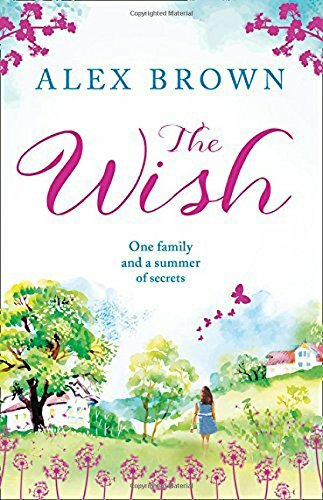 With the summer days ahead, The Wish is just a perfect tantalising read.